After twenty-five years of active duty, US Navy SEAL Commander Eric Lopez chafed at his forced medical retirement. Bored, he jumped at the opportunity to work for a DHS Secret Division Command. The new National Bio and Agro-Defense Facility had just opened and was already embroiled in controversy. One group protesting the facility wants it shut down due to safety concerns. A contingency of foreign scientists will be holding their annual meeting nearby and the cyber security chatter is that someone there will be threatening the facility. With his background in biology, Eric is sent in to assess the situation as part of the foreign delegation, but when one of the lead scientists is kidnapped, he is tasked with finding them. Dr. Lydia Hughes works in a low-security position at the Facility but, just her luck, she is at the wrong place at the wrong time and ends up in the hands of kidnappers who have mistaken her for a lead scientist. Eric races to find Lydia before the kidnappers discover they have the wrong person and dispose of her. Saving her life is his mission. Falling for the beautiful doctor becomes the unexpected reward. I am loving this series so far. This one by Maryann Jordan, was amazing. Eric meets Lydia while on a mission given to him by Silas Branson. He may be retired but he was lonely for some excitement. Their meeting sets them on a road to love. He has to save her when she is taken by mistake. I love that they talk to each other honestly, well as honest as he can be while on his mission. Wonderful story. 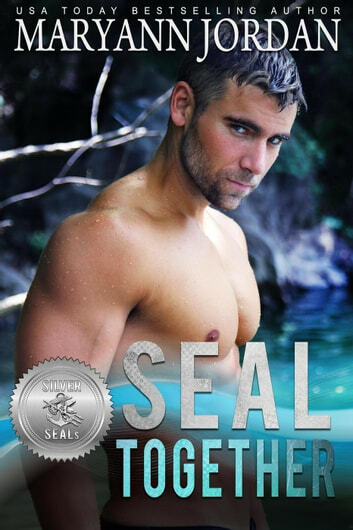 Eric Lopez, a former SEAL commander, falls fast and hard when he meets Lydia Hughes, a large animal veterinarian, who works at an agro-defense facility that’s under threat of terrorist activity. While having to maintain his cover as a touring journalist, he and Lydia begin to form a strong personal relationship. When Lydia’s mistaken for one of the lead scientists and kidnapped, will Eric be able move fast enough to rescue her? And, once his cover’s exposed, will Lydia be able to deal and cope with who Eric really is? This is an exciting, intriguing tale filled with suspense, drama and steamy passion. Eric and Lydia have an instant attraction which grows stronger each time they are together. They’re charming as a couple, and their chemistry is hot. The story is fast-paced and action packed, keeping you engaged from start to finish. It’s a captivating and entertaining tale of romantic suspense and a wonderful addition to the Silver SEALs series. I highly recommend this extremely enjoyable read! SEAL brotherhood at its best! 4.5 Stars This is book 2 in the Silver SEALs series and it features Eric and Lydia. The action was fantastic! The romance was real and steamy. Eric is such a gentleman. I love how they all came together to help him. It was the SEAL brotherhood at its best. The characters were fantastic and the story line was well paced. The action was detailed without being too wordy. The epilogue was perfection! I can’t wait for the next book. 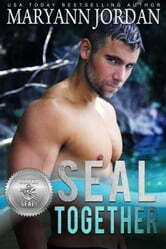 I love it..This is the second book in the Silver Seals series, however they can each be read alone. Eric is sent on assignment undercover by a secret division of the DHS to a new National Bio and Agro defense Facility. Lydia is a veterinarian at the facility. Lydia and Eric are drawn together and have the right amount of chemistry and steam. The story is complete with mystery , suspense, action, romance and terrorist activity. I really enjoyed reading this book and look forward to reading more books in this series. Eric is leading a solitary retired life when he is called to service again to investigate and meets Lydia. Story line could be stolen from the headlines with excellent cast of characters. Settle in for this page turning tale to see how the ending unfolds.